The perfect chat for your Community. 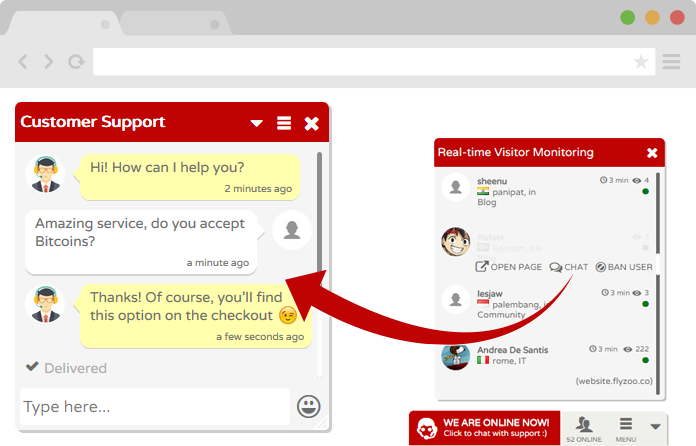 Engage your users with an amazing, real-time chat. Add a site-wide group chat to your website. Looking for a Live Support Chat? Turn your website into a destination worth visiting. Group chats can also be embedded into your layout. 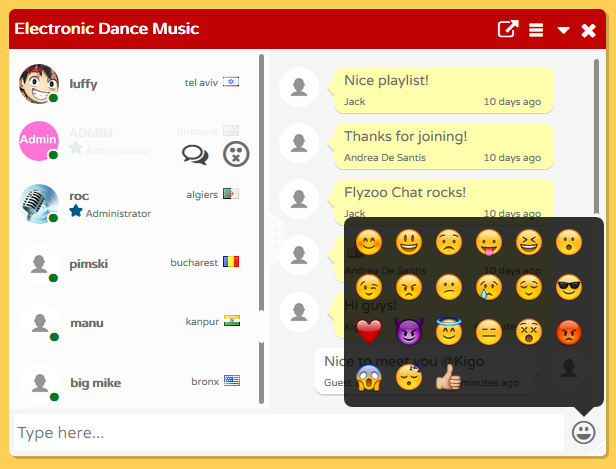 Just more than a community chat software! With Flyzoo you can also provide support to your users/customers/visitors. See where they came from and what page they are on, chat with potential customers and increase sales! Crafted to provide an amazing chat experience even on mobile devices. 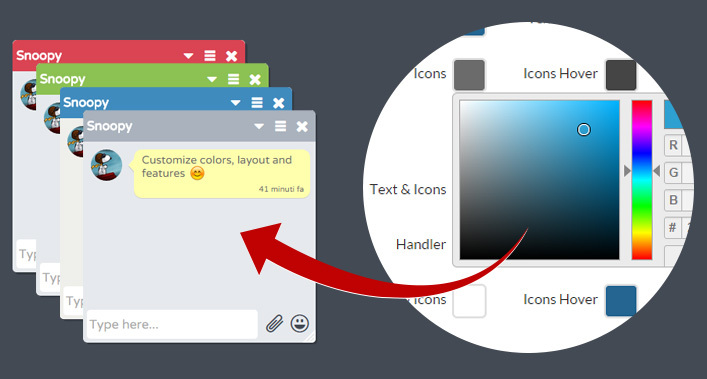 Customize features, layout and colors to match your brand style.